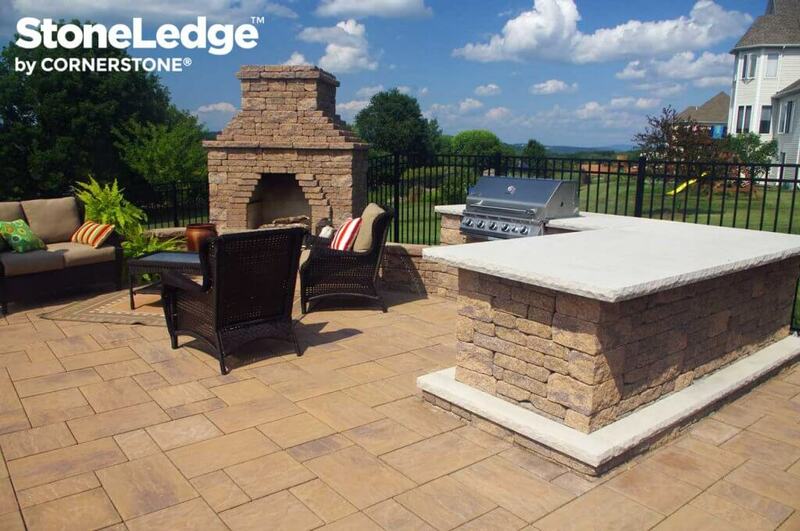 toneLedge™ is about more than retention. 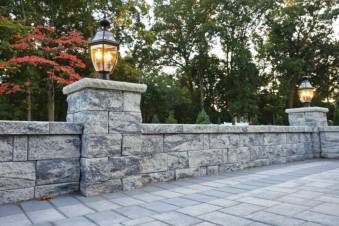 Rather, StoneLedge is about creating free standing wall and retaining walls that are beautiful, lending itself to creating stunning landscapes. 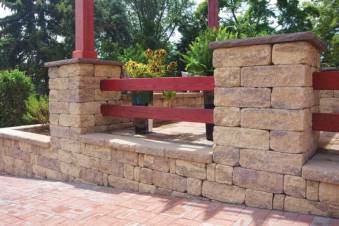 Created as a multi-sized, double sided, tapered unit, this system possess the hand finished look of quarried stone, perfect for creative residential or commercial projects. 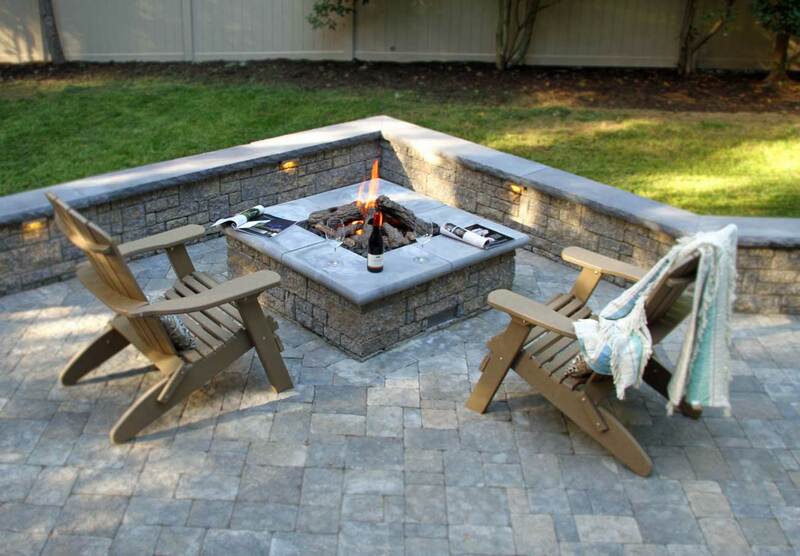 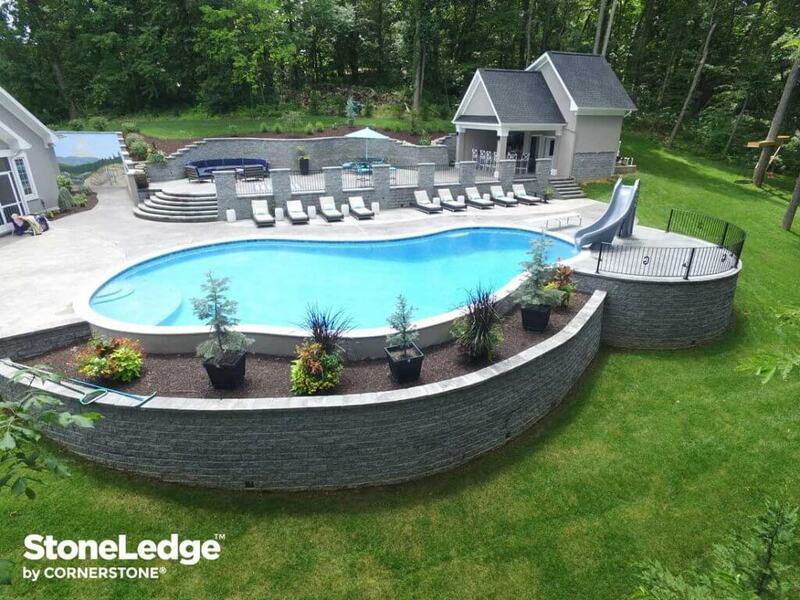 Designed to add the elegance of natural stone to your yard, StoneLedge™ can be used for a variety of applications including retaining walls, free standing walls, stairs, planters, fire pits or fireplaces, and terraced patios. 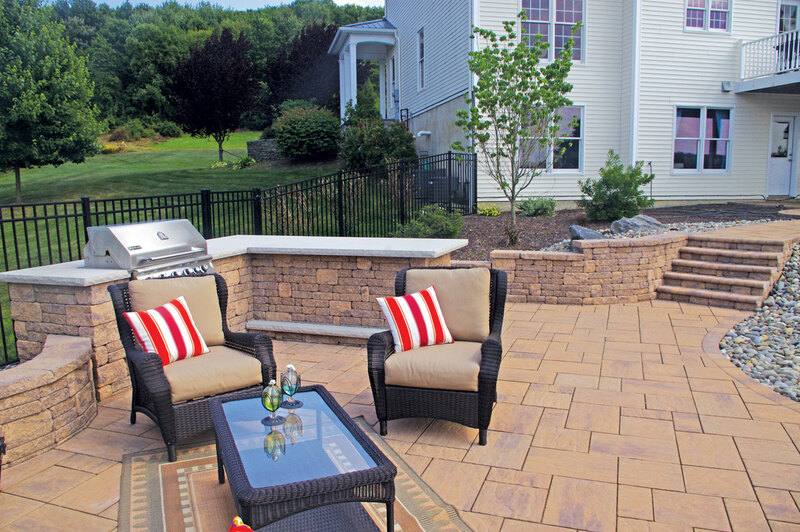 The sheer flexibility of this product allows for endless creative patterns, helping you to create a truly unique design. 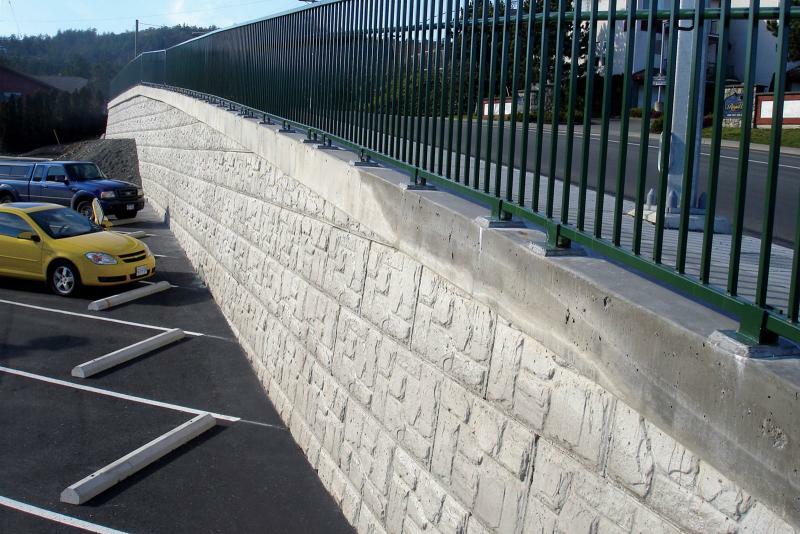 The unique hollow core design, reduces efflorescence problems & costly pigments. 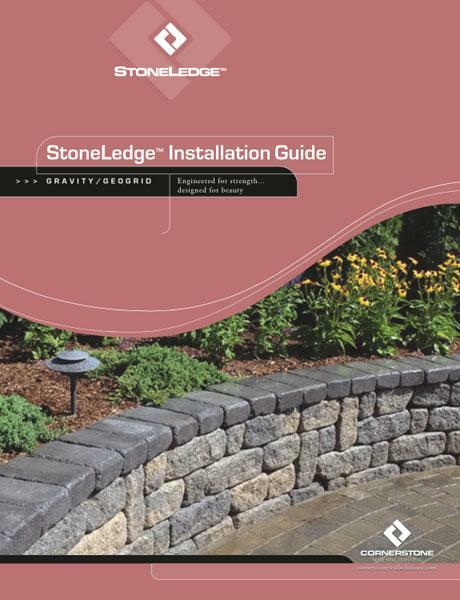 The StoneLedge retaining wall and free standing wall system itself uses up to six different components (giving a multi-Ashlar look), ranging in weights from 20 – 58 lbs, allowing for minimal manpower and no special equipment to install the product. 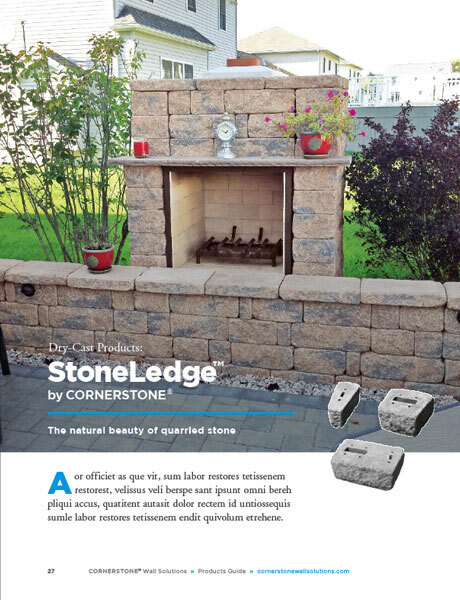 In addition, the three-sized StoneLedge™ wall system, including its corners, are manufactured in one mold, insuring that each of your units has near perfect height tolerances. 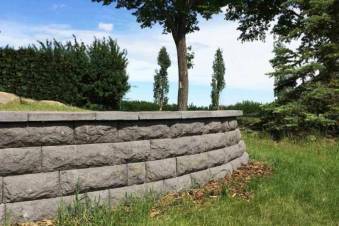 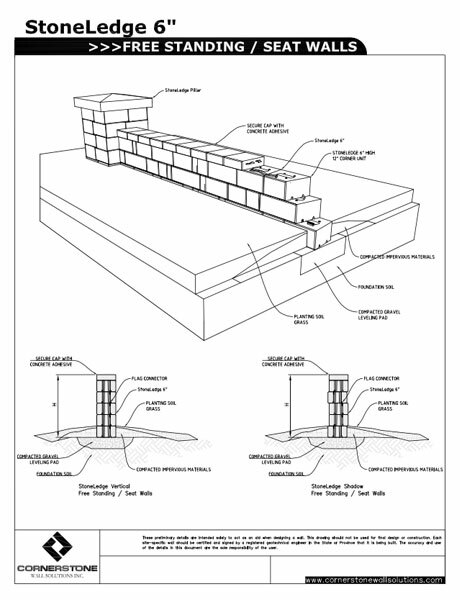 The StoneLedge™ retaining wall design has units interconnect using unique, highly durable, polyethylene connectors that allow for significant lateral movement. 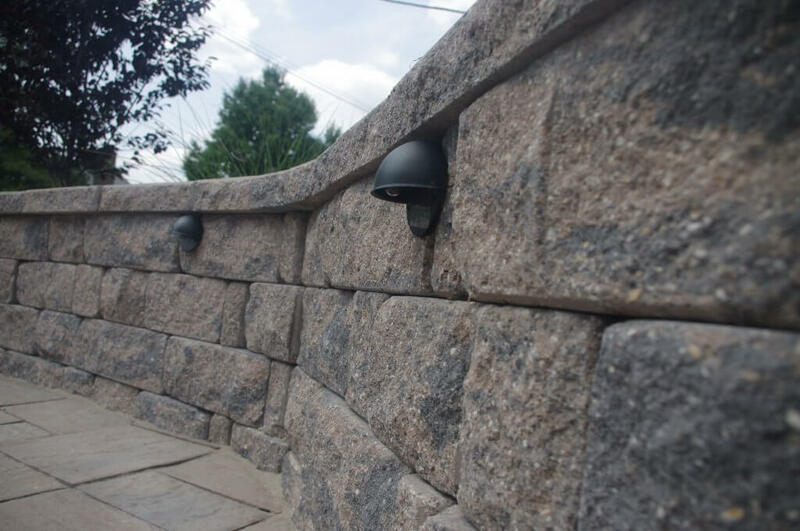 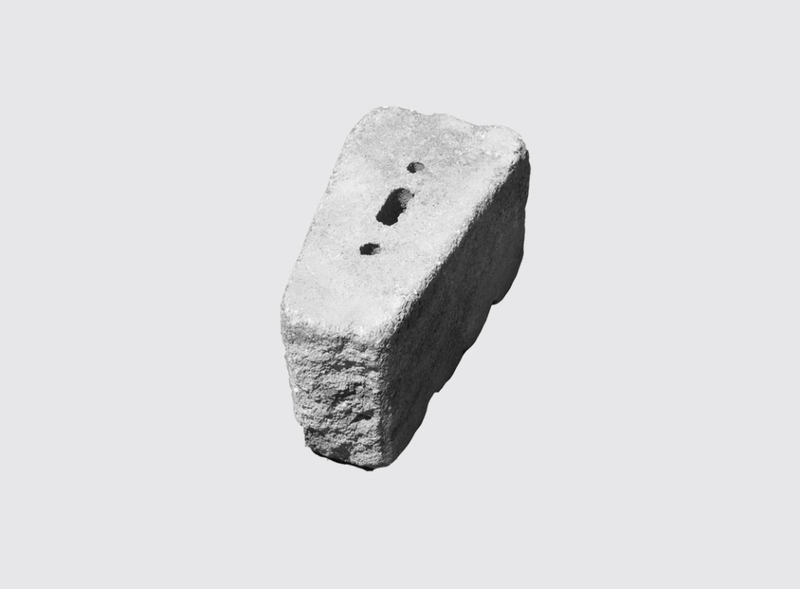 These connectors make StoneLedge™ ideal for multi-battered retaining walls and vertical or free standing walls construction. 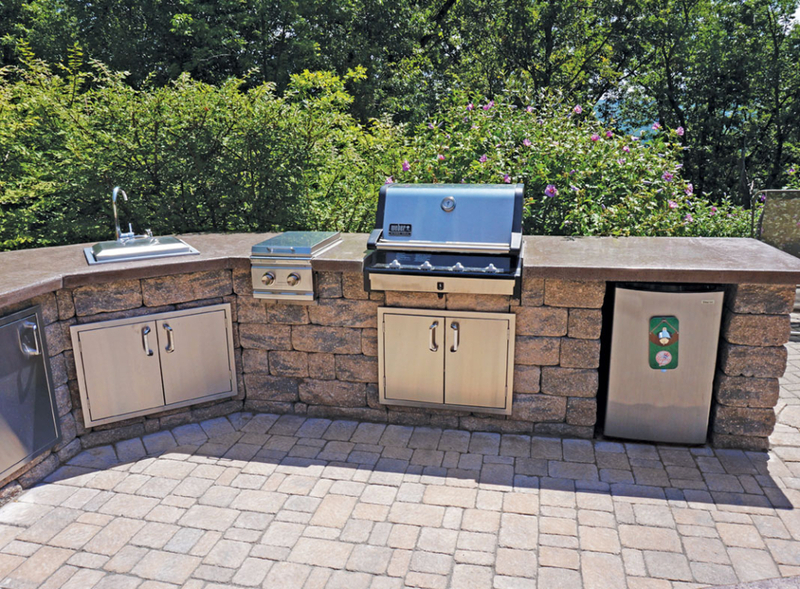 With the unique quarried face design, you have endless creative patterns to create, along with a number of applications to use the product in. 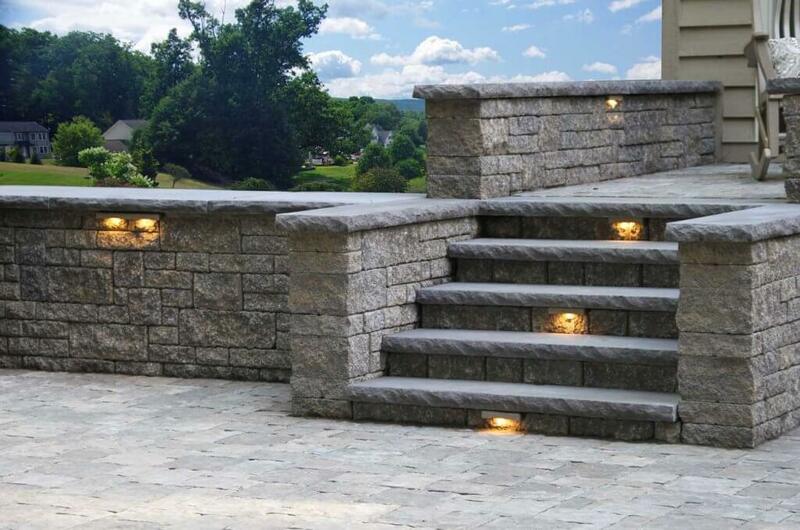 Adding the elegance of natural stone to any yard, you can develop unique stairs, fire pits, outdoor living spaces, and so much more.